There are so many different things to consider when trying to gauge battery life, especially when it comes to high-end, modern smartphones, that it is never simply a case of taking a look at a battery’s size and making a determination from there. 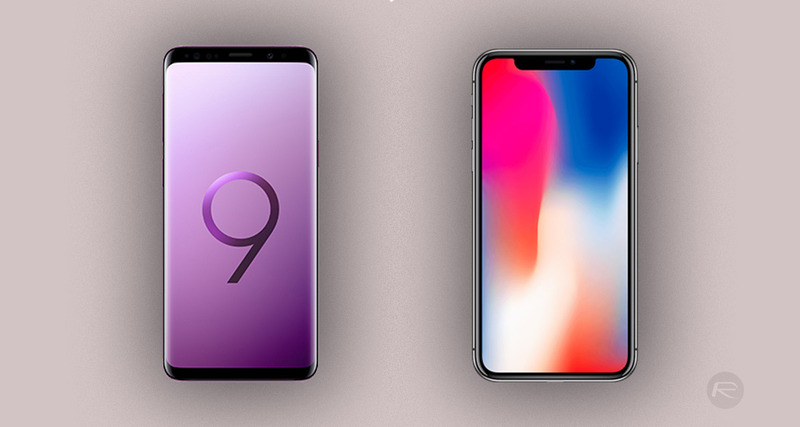 Take the current iPhone lineup as an example – the iPhone X has a battery capacity of 2716mAh whereas the Galaxy S9‘s 3000mAh battery and especially the Galaxy S9+ 3500mAh battery are larger. Based on these specs, you might expect the Samsung devices to outlast the iPhone in simple battery life tests, but as you may have already guessed, things are not quite that simple. There are, of course, plenty of things to take into consideration here. Different screen sizes, different screen resolutions, the CPUs used and, of course, the mobile operating system, all have a bearing on how long the smartphones can last on a single charge. 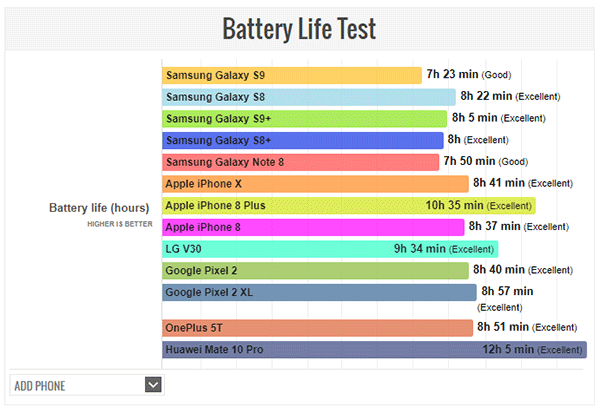 The folks over at PhoneArena wanted to see just what kind of battery life the devices could muster, with the iPhone 8 and iPhone 8 Plus thrown into the mix along with the Galaxy S8 lineup and a Galaxy Note 8 for good measure. In fact, there were a few other handsets included in the test too because, well, why not? The upshot is that when it comes to their ability to last as long as possible on a single charge, the iPhones all best Samsung’s latest offerings, although hardware from Google, OnePlus, and Huawei showed everyone how long a smartphone can be made to last. However, with the testing also covering how long a device takes to fully charge, Samsung was given a way back into the fight thanks to its super fast charging capabilities. 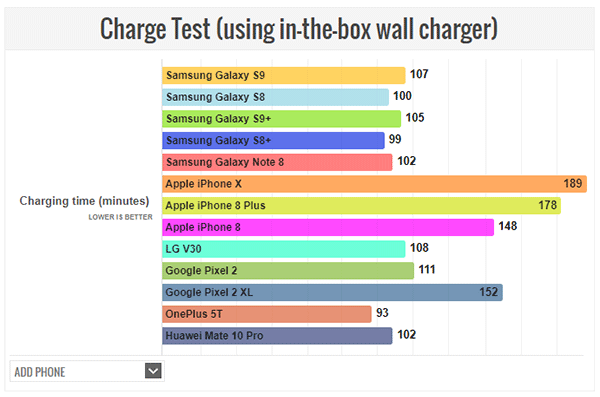 The PhoneArena guys have a couple of great battery life and charge time graphs that highlight how all of the handsets performed, but to be honest, no matter which phone you opt for, we don’t think battery life should be the deciding factor – especially given how fast these things can charge these days. PUBG Mobile 0.5.1 APK, iOS Update With MiraMar Desert Map Out, English USA Version Coming?